Day Passes Available for a Limited Time Only! Have you ever visited Antigua and wanted to visit Sugar Ridge, if only for the day? For a limited time only we are offering two types of day passes so that you can experience our luxury boutique resort! 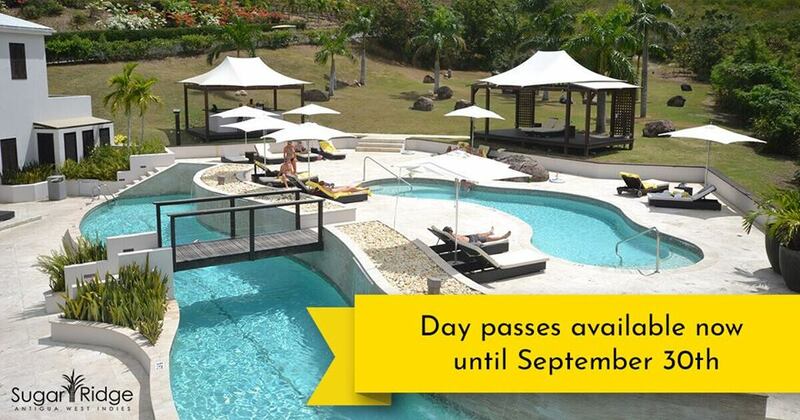 Until September 30th both spa and day passes are available. Our day pass is valid from 8am-6pm and including breakfast, lunch, drinks and access to resort amenities for $145US. Pool days don’t get much better! If you’re looking to add an extra hint of relaxation to your visit, our spa day pass includes the same perks plus a 30-minute massage at our Aveda Spa for $215US! For more information please contact us at [email protected]. We look forward to treating you for the day.